I was hired as the first coordinator of technology in 1995 by the Unionville-Sebewaing Area Schools District, when they were installing technology for the district. I currently hold the title of Director of Technology at USA Schools. I received my BS in Networking and Businesses Management with a concentration in CISCO networks from Davenport University in 2006. 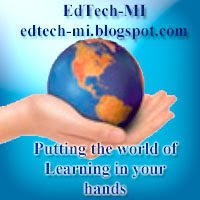 I then received my master degree in Technology Education at Central Michigan University in 2009. I have been working professionally on technology integration into the curriculum that helps it to become seamless. My second goal that I am working towards is better data driven decision systems leveraging technology. The third goal is the use of technology to identify and help student learning as it relates to Response to Interventions (RTI) systems. To be part of a leadership team that assist stakeholders in preparing all students to become successful lifelong learners by providing a technology team that is customer-service focused and makes technology simple and seamlessly integrated into a 21st century curriculum for educational excellence.